This adorable little pup is almost five months old, and weighs about ten pounds. She was rescued from Taiwan, and is a Formosan Mountain Dog! Nia passed her assessment with flying colors; she had a blast! Nia is the runt of her litter of ten... What she lacks in size, she makes up in personality. This girl is fierce! She had a great time playing, and getting to know what The Fort is all about. 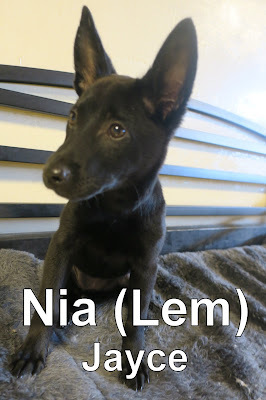 We're looking forward to watching Nia grow up with us. She had such a great time, she's even coming back tomorrow!